I’m delighted to hear that gin is apparently the spirit of the moment. Consumption has increased by 7 percent across western Europe in the past year! The last gin and tonic I had was on this month’s Virgin Atlantic flight of all places (side note: my return flight from the U.K. to the U.S. was MUCH better than my trip going over. We went Premium Economy, I didn’t eat the Gu and didn’t vomit once! Score!). Our flight attendant was charming, ebullient without being ingratiating and could make a mean drink! I spotted her bringing out a big bottle of Bombay Sapphire (yes, no minis!!) as she served a man in front of me and something about that cool, soothing blue shade of the bottle inspired me to order one. It was phenomenal! There’s something extremely luxurious about someone fixing you a real drink, when you’re 30,000 feet up, using a real glass (not plastic), with a real lime and real ice cubes with a decorative swizzle stick that makes one feel positively pampered. It remains one of the top 10 best gin and tonics I’ve ever had! Posted on 26, April 2013, in British, Drink and tagged British, cocktail, drink, G&T, gin. Bookmark the permalink. 5 Comments. Noooo, not a gin girl, but in fairness, it’s only in recent years I’ve developed any kind of liking for alcohol at all. (Yes, my family love that I’m always designated driver). Vodka in fruit juice is about as sophisticated as I get, I’m afraid (ie, not at all!). Yeah, I love a good vodka cranberry! Or a bellini! Or a kir! (Those are my go-to drinks normally!) But when it’s done right (and it’s so often done wrong! 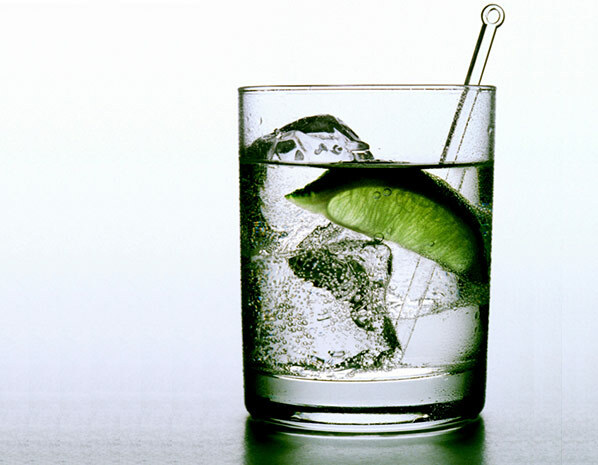 ), a good G&T can’t be beat! An evening of too many gin and tonics, followed by an early morning rowing trip on a rather rough sea left me completely unable to tolerate gin in anything! Too bad because it’s a rather nice summer evening drink. That’s terrible, annov! I hate being seasick! RIP Toast. A good G&T is really hard to find!